Sparkle and shine meet comfy and cozy in our celebrity kid-inspired faux fur coat with sequin detailing and contrast trim. 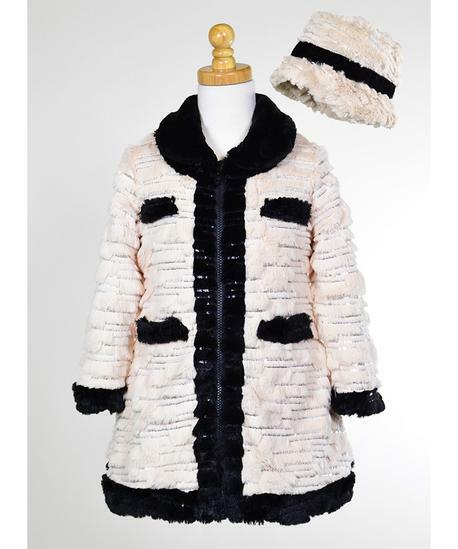 A coat that stands out in a subtle way and will make her feel special wearing it. Embroidered sequin details. Fully lined in cozy faux fur. 100% Polyester. Machine Washable.